The Best Margaritas in town! Really. This restaurant is giving us a very nice set menu. If you wish you can order off this set menu but its a deal! 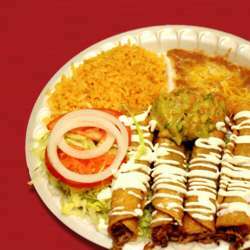 We will share 2 starters then we will have a menu degustaizone which includes rice beans and a little bit of everything quesadilla tostada, frajitas queso fondito chili con carne. This includes water for 20 euro if you want a margarita its 25 euro and I do recommend the margarita! Great and kind service!